Those Works of Ancient and Mediaeval Literature which more particularly concern the Seeker after Truth, concur on one point. 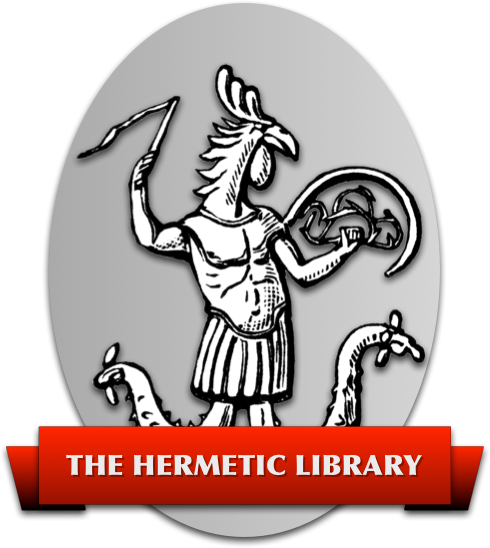 The most worthless Grimoires of Black Magic, no less than the highest philosophical flights of the Brotherhood which we name no, insist upon the virtue of Chastity as cardinal to the Gate of Wisdom. Preening himself that his lewd lips relent. Or to that emasculate frigor of Alfred Tennyson and the Academic Schools. The Chastity whose Magical Energy both protects and urges the aspirant to the Sacred Mysteries is quite contrary in its deepest nature to all vulgar ideas of it; for it is, in the first place, a positive passion; in the second, connected only by obscure magical links with the sexual function; and, in the third, the deadliest enemy of every form of bourgeois morality and sentiment. It may assist us to create in our minds a clear concept of this noblest and rarest – yet most necessary – of the Virtues, if we draw the distinction between it and one of its ingredients, Purity. Purity is a passive or at least static quality; it connotes the absence of all alien admixture from any given idea; as, pure gallium, pure mathematics, pure race. It is a secondary and derive use of the word which we find in such expressions as “pure milk,” which imply freedom from contamination. Chastity, per contra, as the etymology (castus, possibly connected with castrum, a fortified camp1)) suggests, may be supposed to assert the moral attitude of readiness to resist any assault upon an existing state of Purity. sang Milton, with the true poet's veil-piercing sword-vision; for service is but waste unless action demands it. The Sphinx is not to be mastered by holding aloof; and the brutish innocence of Paradise is always at the mercy of the Serpent. it is his Wisdom that should guard our Ways; we need his swiftness, subtlety, and his royal prerogative of dealing death. The Innocence of the Adept? We are at once reminded of the strong Innocence of Harpocrates, and of His Energy of Silence. A chaste man is thus not merely one who avoids the contagion of impure thoughts and their results, but whose virility is competent to restore Perfection to the world about him. Thus the Parsifal who flees from Kundry and her attendant flower-witches loses his way and must wander long years in the Desert; he is not truly chaste until he is able to redeem her, an act which he performs by the reunion of the Lance and the Sangraal. Chastity may thus be defined as the strict observance of the Magical Oath; that is, in the Light of the Law of Thelema, absolute and perfected devotion to the Holy Guardian Angel and exclusive pursuit of the Way of the True Will. It is entirely incompatible with the cowardice of moral attitude, the emasculation of soul and stagnation of action, which commonly denote the man called chaste by the vulgar. “Beware of abstinence from action!” is it not written in Our lection? For the nature of the Universe being Creative Energy, aught else blasphemes the Goddess, and seeks to introduce the elements of a real death within the pulses of Life. The chaste man, the true Knight-Errant of the Stars, imposes continually his essential virility upon the throbbing Womb of the King's Daughter; with every stroke of his Spear he penetrates the heart of Holiness, and bids spring forth the Fountain of the Sacred Blood, splashing its scarlet dew throughout Space and Time. His Innocence melts with its white-hot Energy the felon fetters of that Restriction which is Sin, and his Integrity with its fury of Righteousness establishes that Justice which alone can satisfy the yearning lust of Womanhood whose name is Opportunity. As the function of the castrum or castellum is not merely to resist a siege, but to compel to Obedience of Law and Order every pagan within range of its riders, so also it is the Way of Chastity to do more than defend its purity against assault. For he is not wholly pure who is imperfect; and perfect is no man in himself without his fulfillment in all possibility. Thus then must he be instant to seek all proper adventure and achieve it, seeing well to it that by no means should such distract him or divert his purpose, polluting his true Nature and hamstringing his true Will. Woe, woe therefore to him the unchaste who shirks scornful the seeming-trivial, or flees fearful the desperate, adventure. And woe, thrice woe, and four times woe be to him who is allured by the adventure, slacking his Will and demitted from his Way: for as the laggard and the dastard are lost, so is the toy of circumstance dragged down to nethermost Hell. Sir Knight, be vigilant: watch by your arms and renew your Oath; for that day is of sinister augury and deadly charged with danger which ye fill not to overflowing with gay deeds and bold of masterful, of manful Chastity! The root cas means house; and an house is Beth, the letter of Mercury, the Magus of the Tarot. He is not still, in a place of repose, but the quintessence of all Motion. He is the Logos; and He is phallic. This doctrine is of the utmost Qabalistic importance.